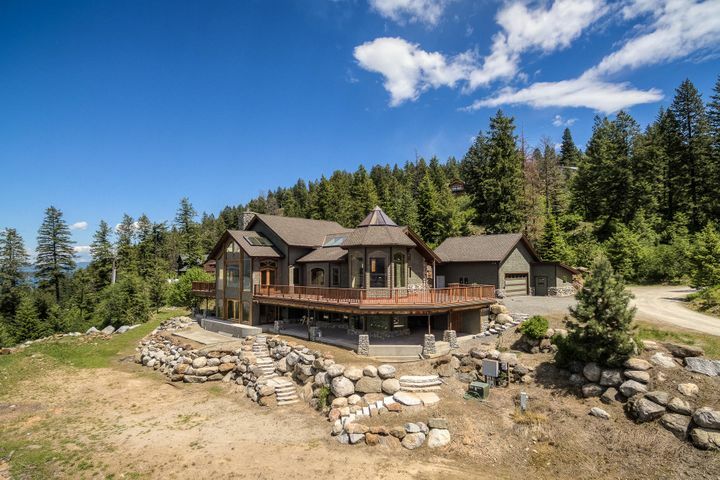 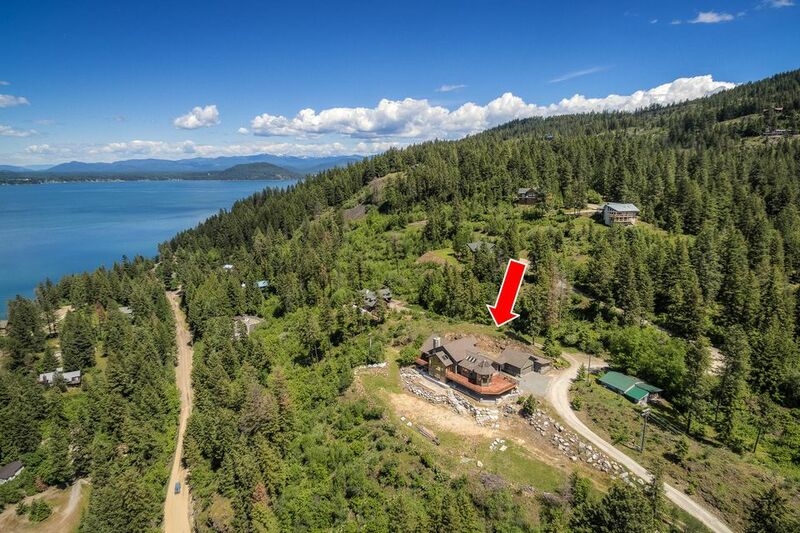 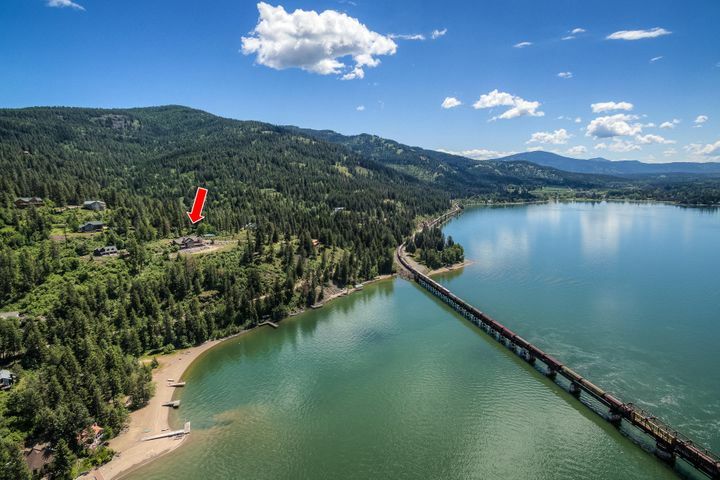 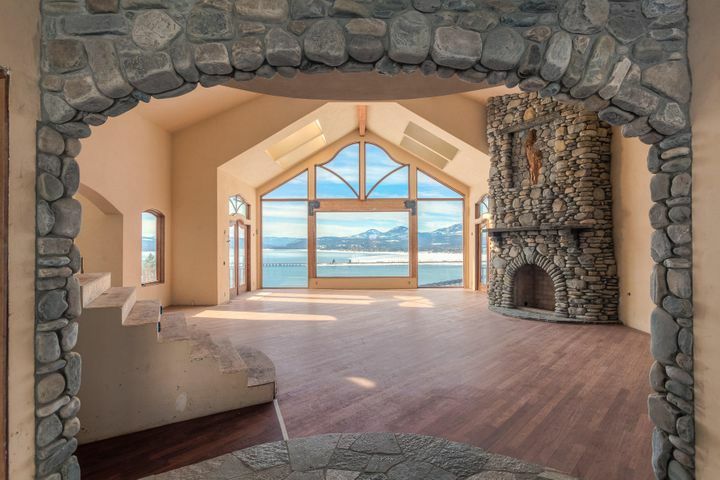 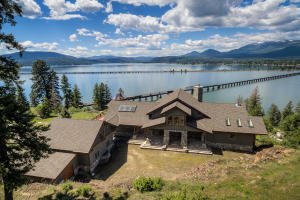 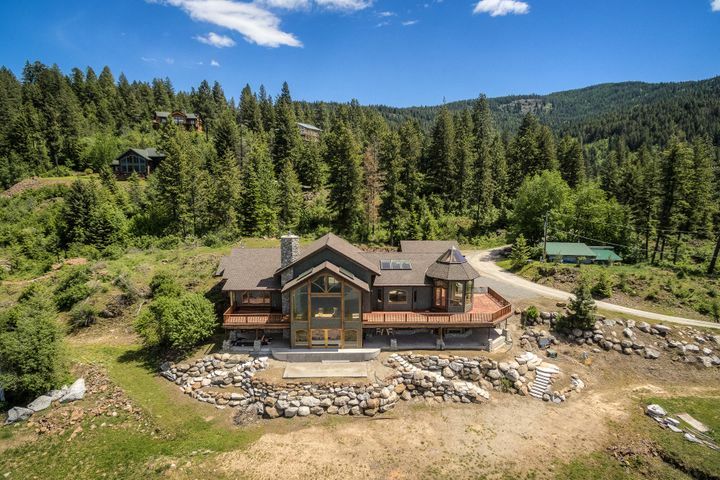 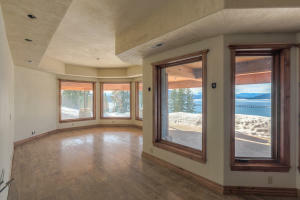 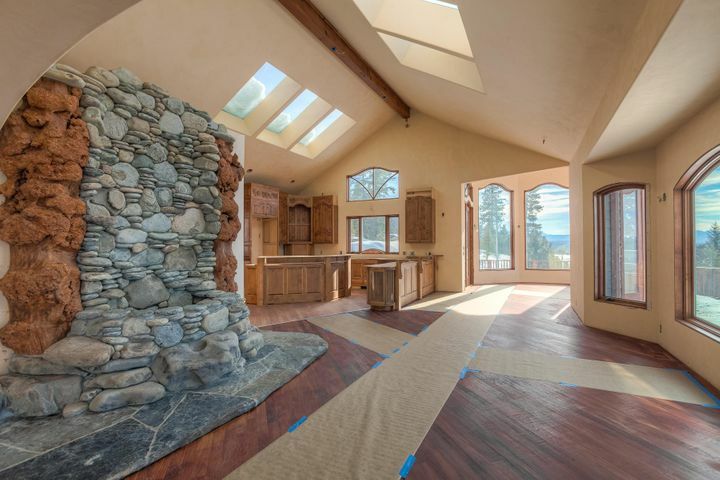 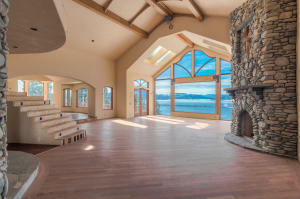 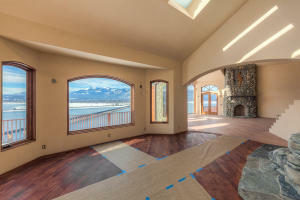 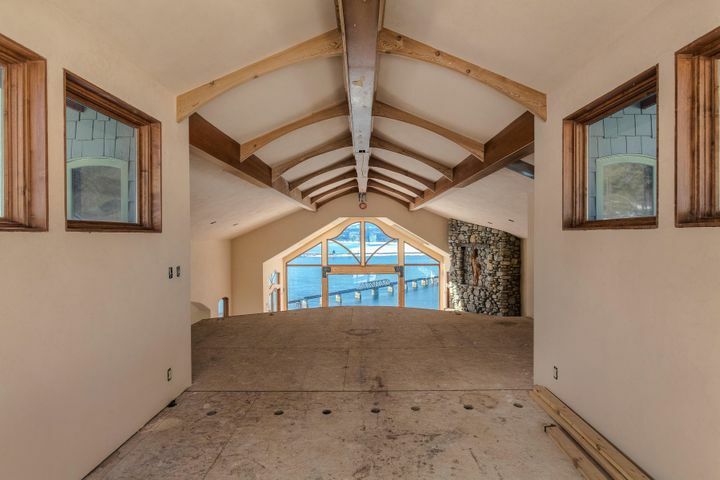 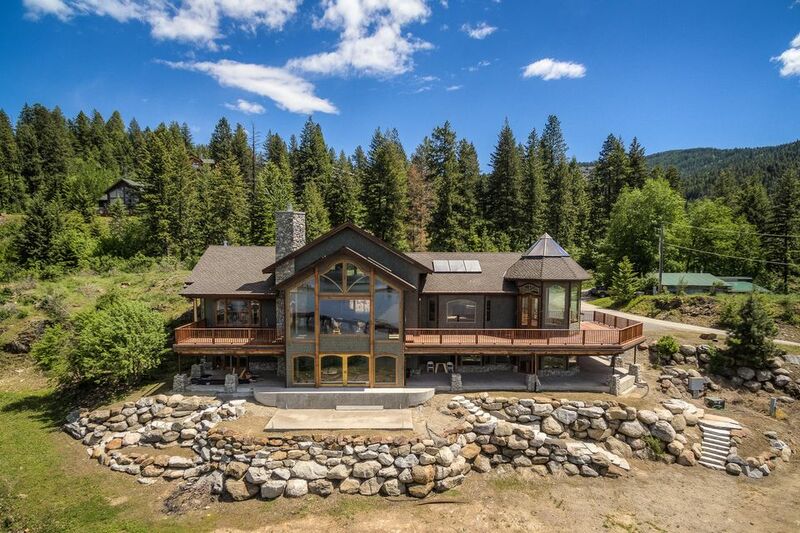 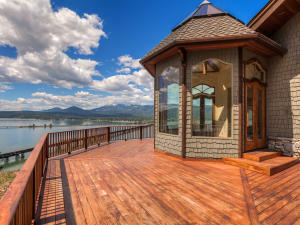 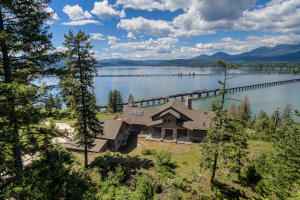 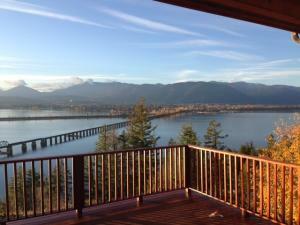 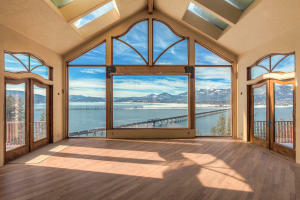 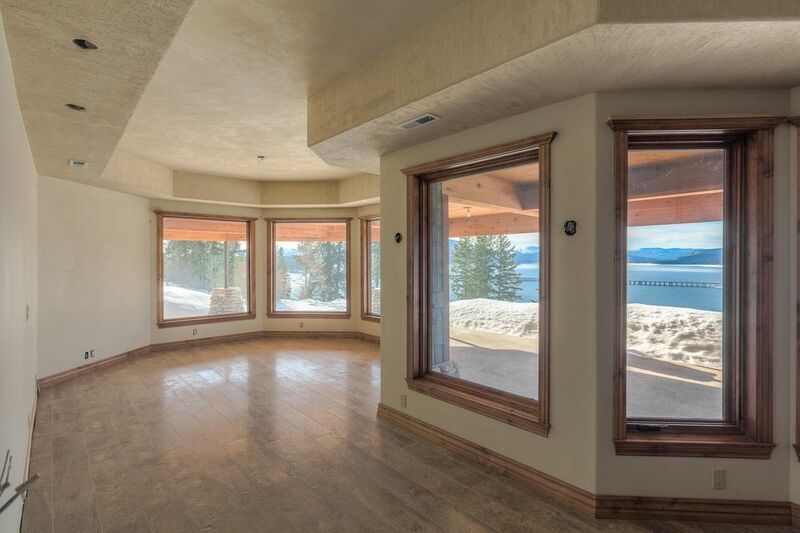 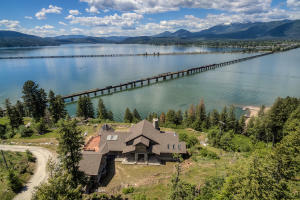 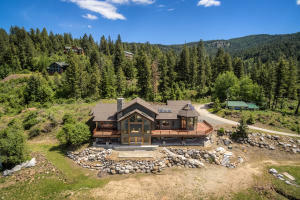 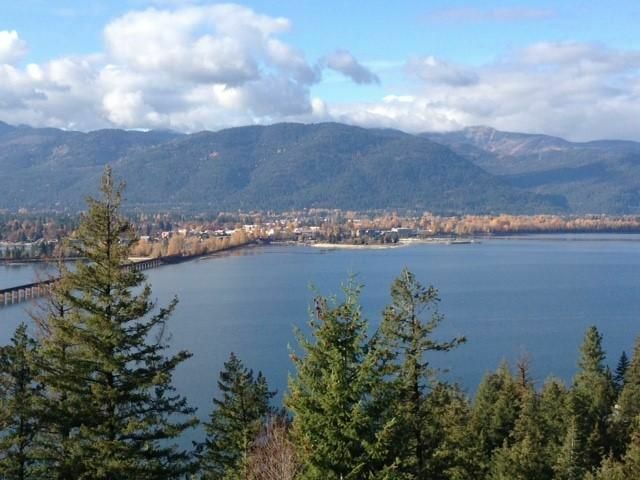 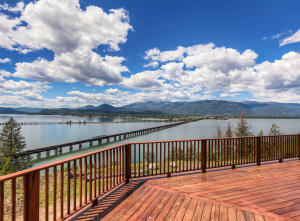 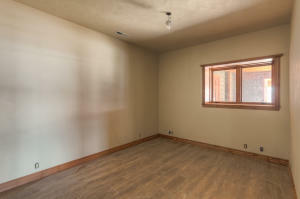 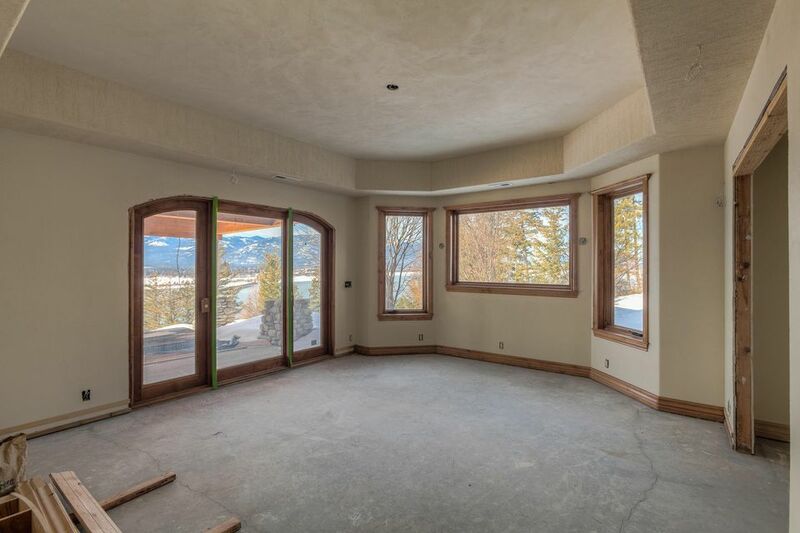 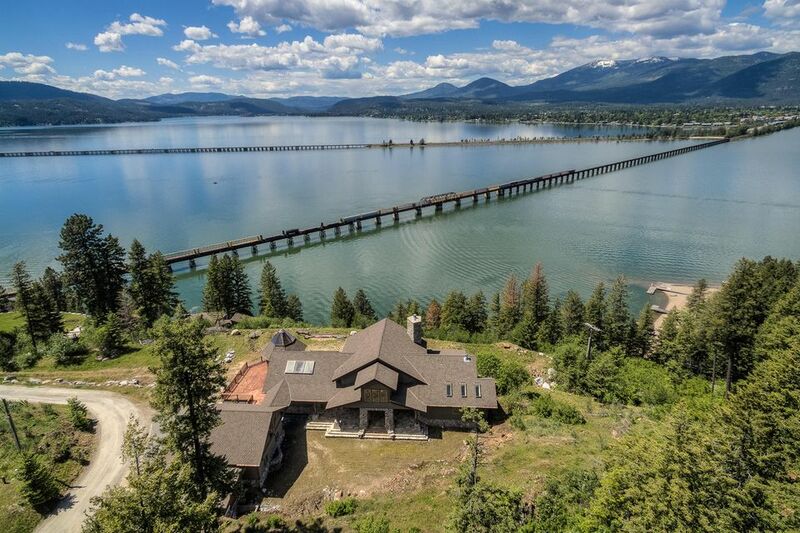 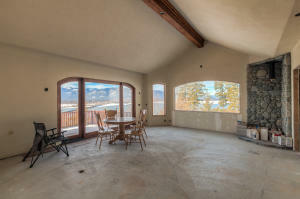 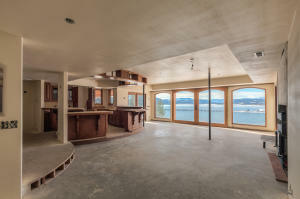 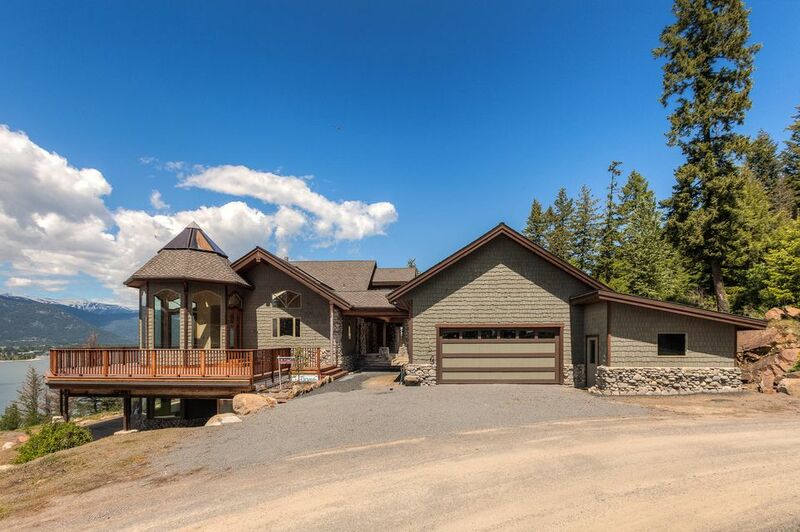 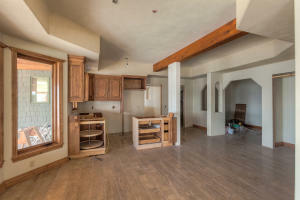 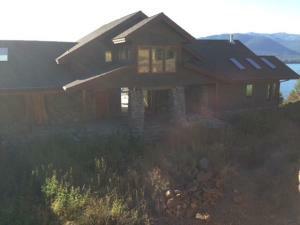 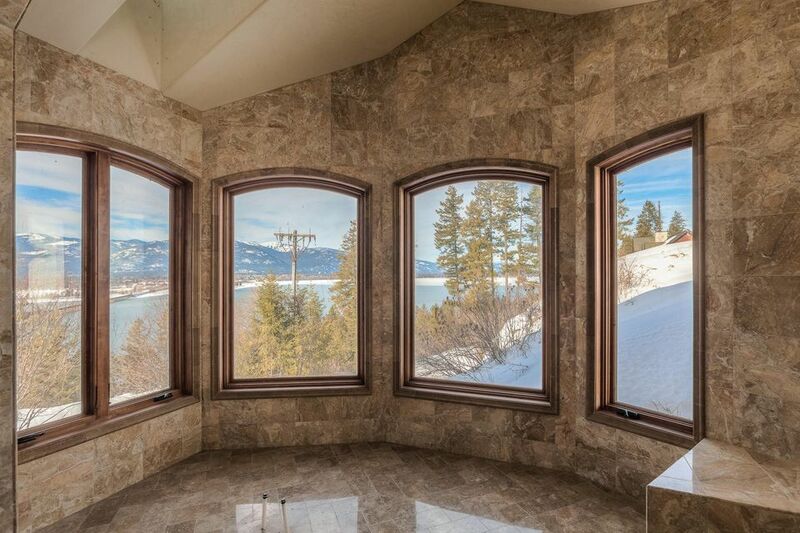 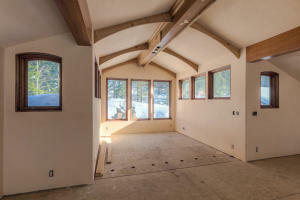 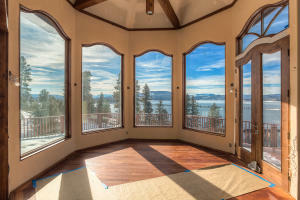 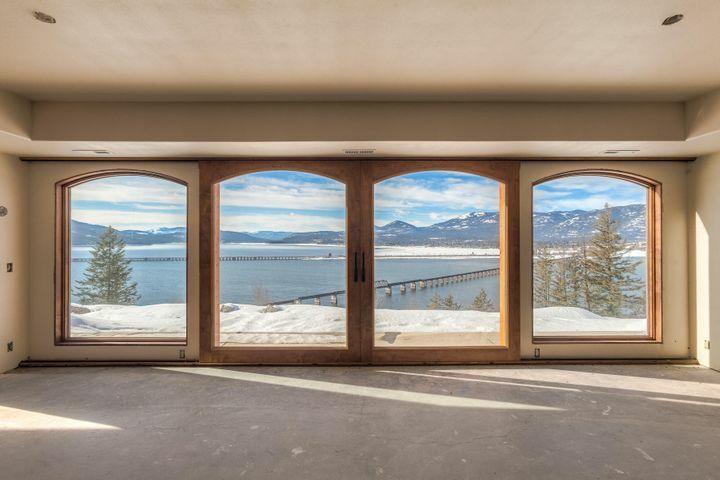 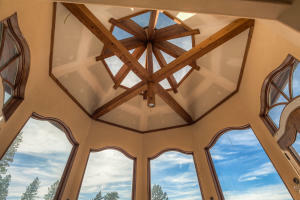 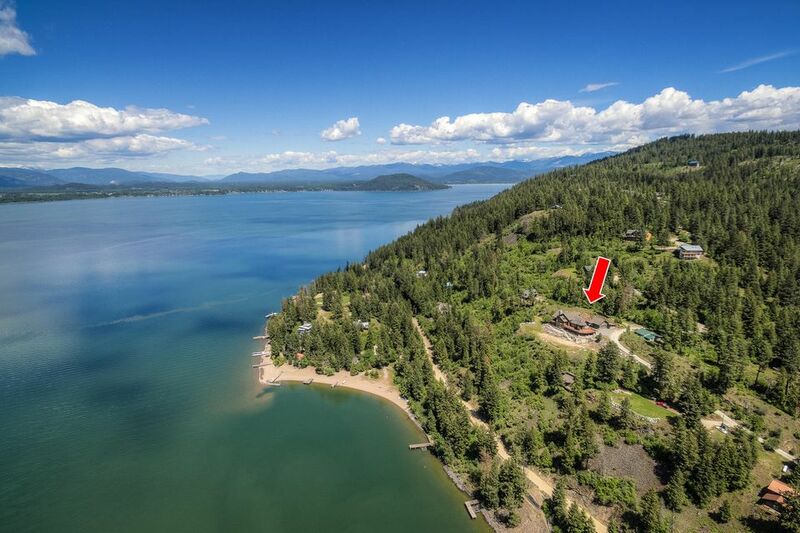 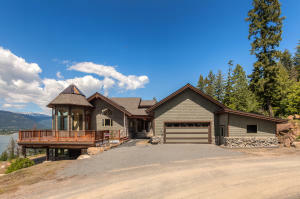 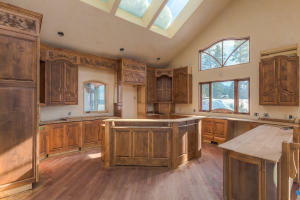 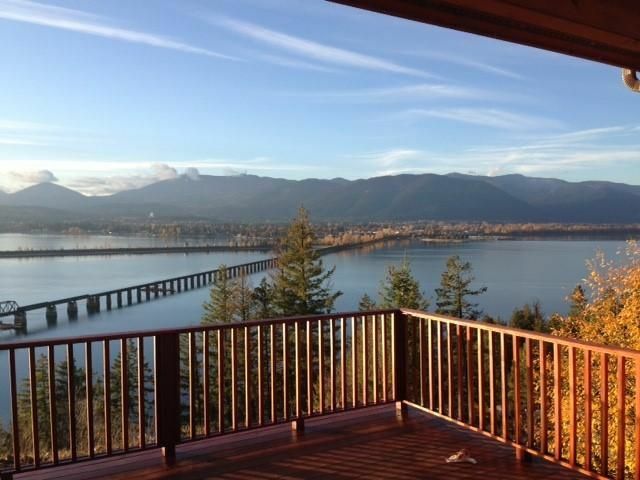 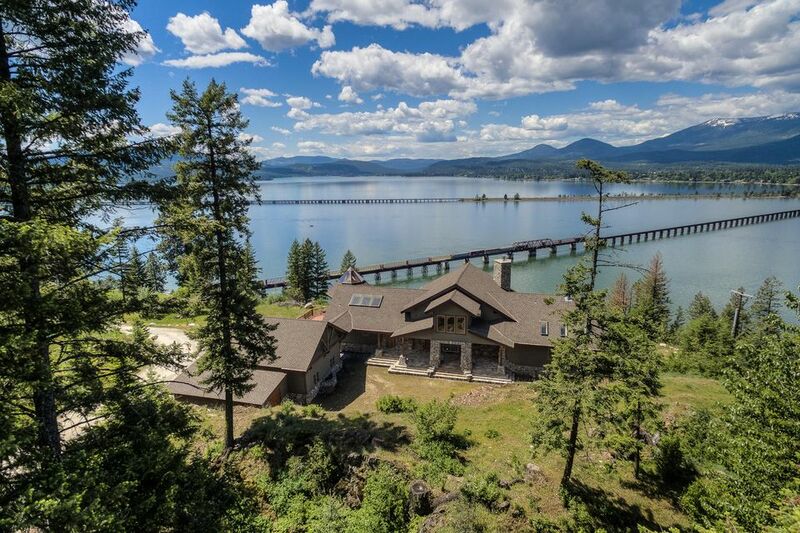 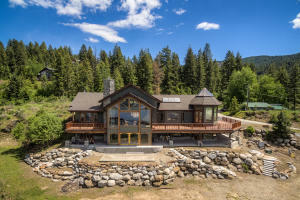 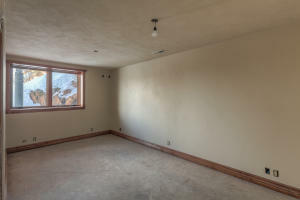 Enjoy the most stunning and panoramic views of Lake Pend O'Reille and Sandpoint on over 2 acres! 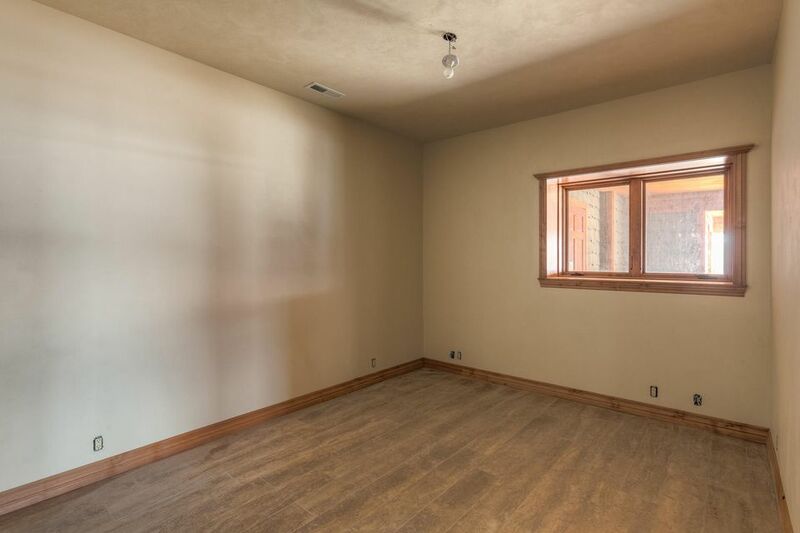 This gorgeous secondary waterfront home is just waiting for your finishing touches. 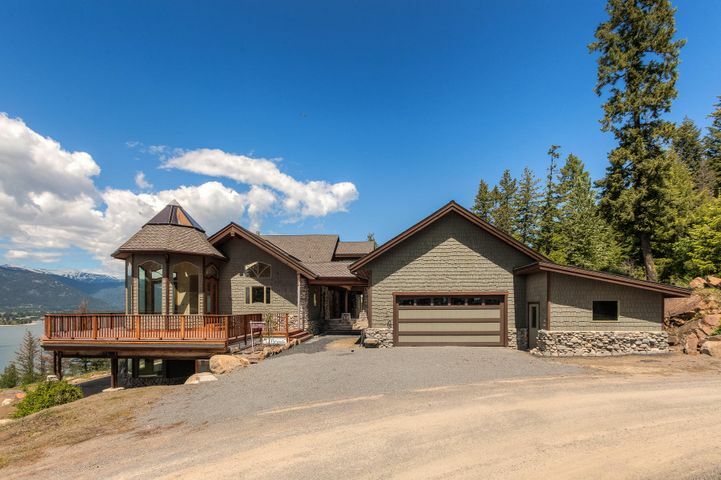 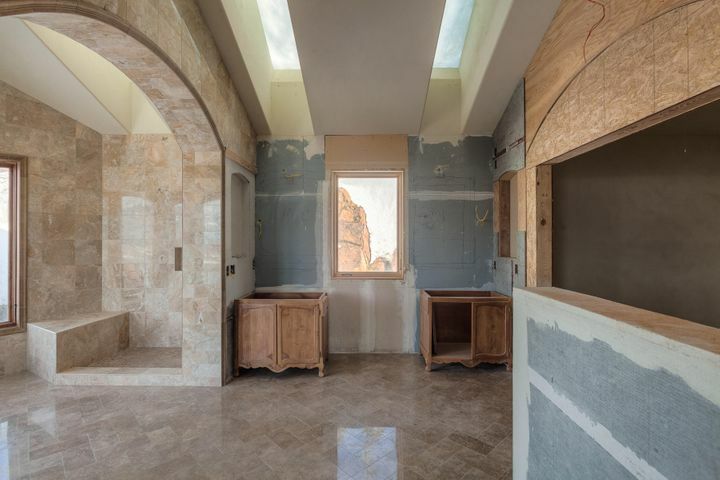 Featuring natural stone accents and fireplace, marble floors, custom alder cabinets, soaring vaulted ceilings and floor to ceiling windows, this home is the perfect place to make your dream home come true. 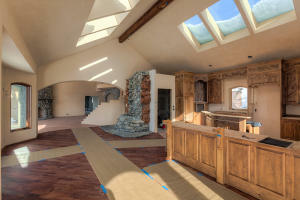 Multiple skylights bathe the great room in warm, natural sunlight. 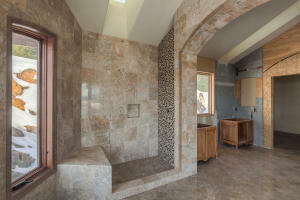 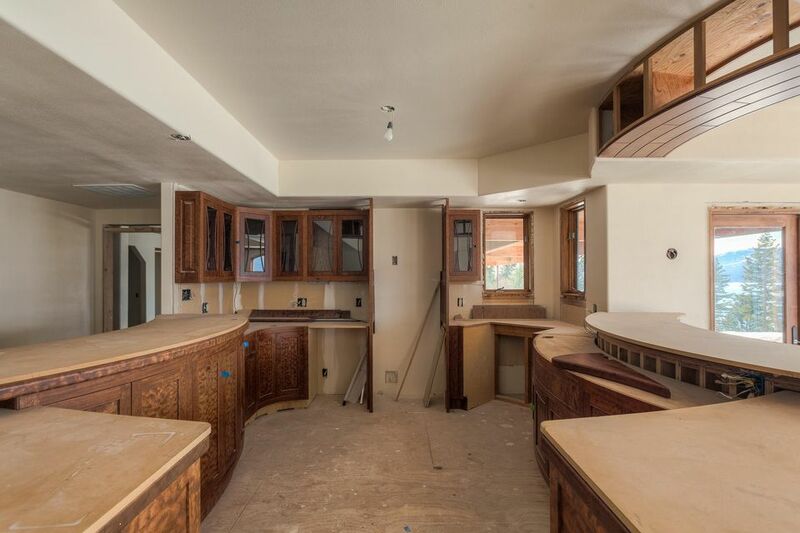 The 4 bedrooms, 4 bathrooms, 2 kitchens and over 7,000 sq. 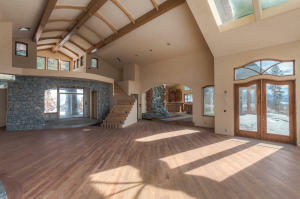 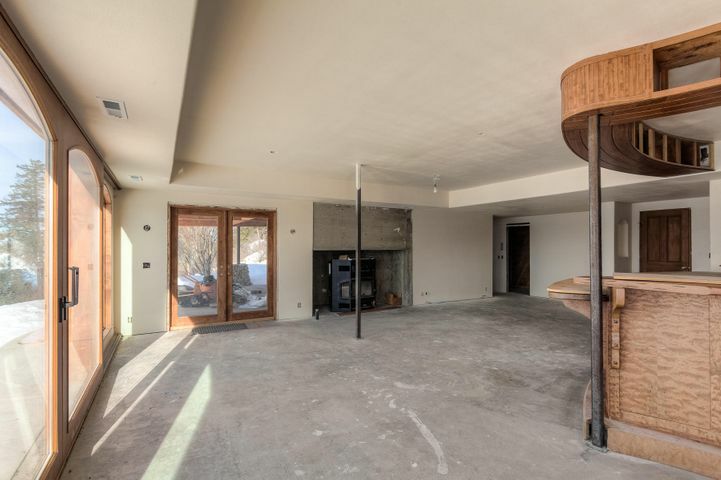 ft. of amazing architectural design deem this home an entertainer's paradise. 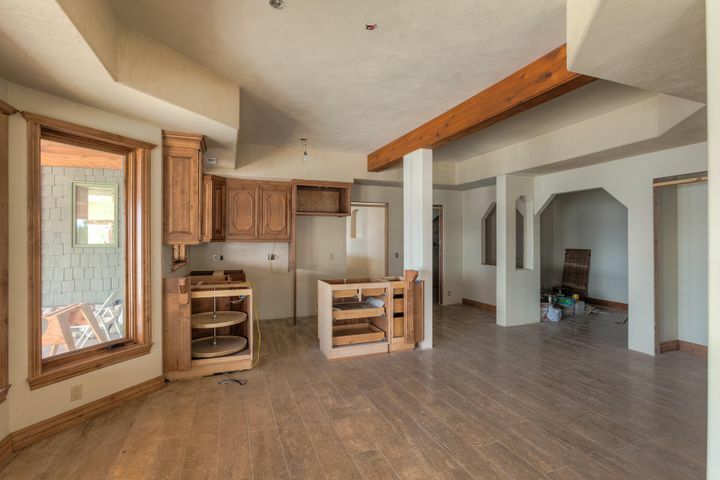 The lower level is set up to include an apartment/additional living space with separate entrance. 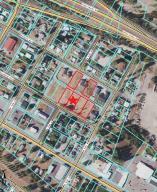 Also included is community access to 300' of sandy beach on Lake Pend O'Reille w/use of a BBQ and fire pit.